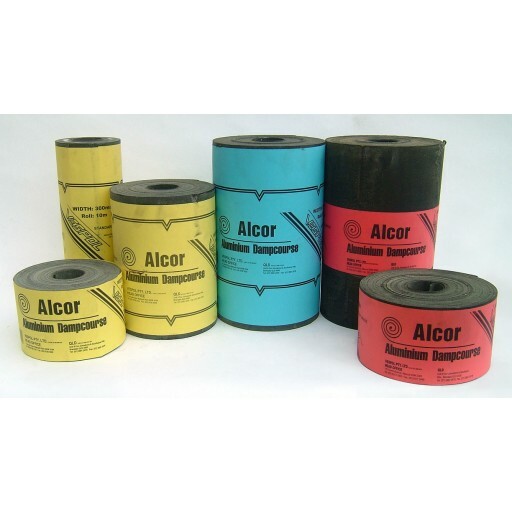 Alcor Standard is a bitumen coated fully annealed 99%% pure aluminium core Dampcourse supplied in various widths and thicknesses. The aluminium core is coated with bitumen on both sides and edges to prevent lateral corrosion. Alcor Standard has a 0.3mm thick aluminium core. For use in domestic and some commercial and industrial applications. Easily dressed and formed as it has excellent shape retention. Not affected by lime and cement.